At Blizzard DR we use many different hardware tools and software so we can recover data from most USB flash drives. 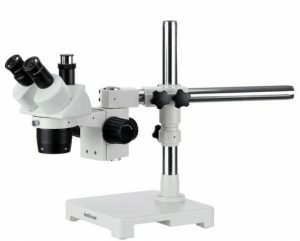 The first tool in our flash recovery toolbox is the Amscope stereo microscope. Under the scope we can determine if any components are missing or physically damaged. We also look for signs of previous attempts to repair the device. How Much Doesh USB Flash Recovery Cost? 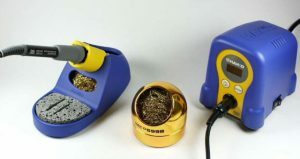 After the initial inspection we will repair broken connections or missing SMD components using our Hakko soldering station. The next step is to test for shorts to ground and to test some SMD components like Littelfuse, capacitors, resistors. 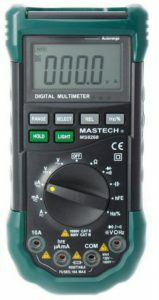 This testing is still done under the microscope using a multimeter. Once we determine there are no shorts and the SMD components are good we connect the device to a USB port and verify that it gets power. If the device is recognized and the data is accessible then our job is complete. 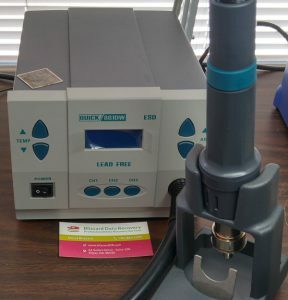 If the device is not recognized then we recheck the components and connections under the microscope one more time. In some cases there might be an SMD component that needs to be reflowed to restore the connection. If all attempts to temporarily repair the USB device fail then we move on to chip-off recovery. For chipoff recovery we have to remove the NAND chips from the USB device. To perform this operation we use a hot air rework station. The memory chips need to be carefully removed without over-exposing them to high temperatures. 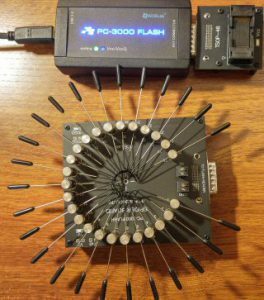 If this process is not done correctly you could be left with a number of problems like, fried NAND, high rate of errors, broken pins, etc. After the NAND chip(s) have been carefully removed we then use a chip reader to create a dump file for each chip. Once we have the dump files we then proceed to recreate the customer’s data using special software tools. Currently we us NAND readers and data reconstruction tools from three vendors. Get your USB flash drive recovered now! How to fix a broken USB thumb drive.